A vacation at her godmother's ranch near Abilene would have been the perfect place for Maggie Turner to escape her ex-husband's threats. Perfect, that is, if it hadn't been for Gabe Coleman. Tall, lithe and lean, he was just as blunt, rude-and powerfully sensual-as he'd been ten years ago. His cold formality gave her the goose bumps. And his icy blue eyes watched her like those of a hungry cat-daring her to look beneath his savage surface. She thought marriage had cured her of desire. 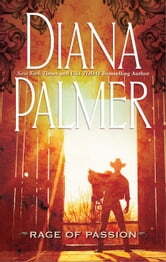 Then the raging passions of a Texas cowboy gave her a new lease on love.